From the tallest mountains to the warm-water sports. Dizin Ski Resort nearby Tehran in the north to the Kish island in the south. explore unique attractions, magnificent architecture and survey the history of Iran by traveling to the most important cities of Iran. Cheap and Economic Tours of Iran.If you like to travel to Iran and visit attractive destinations with low budget we can make it possible for you. You can still travel to Iran with low prices and enjoy your trip and sightseeing tours. Adventure in the wild nature of Iran. Visit deserts, safaris, mountains, natural spas, historical relics, monuments and other attractions of Iran. 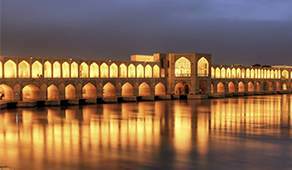 Explore Iran with cultural tours or adventurous tours and find more. Greetingiran is an official website of Goalbang Tour & Travel co., the leading Iranian service company in tourism industry for over 22 years and fully bonded as a member of International Air Transport Association (IATA) with a numeric code 33-2 1132 3. In the following links you can find our skilled tour operator agents outside of Iran. You may contact them to ask about our tours and services or to confirm the bookings. we wish you a comfortable and reliable travel to Iran. Iran is one of the most beautiful countries, famous for its Several thousand years of history and stunning beauties. The magnificent remnants of the glorious Islamic period are representatives of the advanced architecture and art at those times well shown in the mosques, temples and bazaars especially in the great cities of the time like Isfahan, Shiraz or Tabriz. The magnificent monuments of ancient time in cities like Shiraz or Shush are good examples of the genius developed science and architecture back then like Persepolis or Choghazanbil. In addition Iran’s fabulous natural beauties in all seasons have attracted many tourists to visit for instance Alborz mountainous areas in Tehran and Zagros mountainous areas in Fars province, Harra jungles and coasts of southern parts in Boushehr, Bandar abbas, Kish or Qeshm, Kavir and Loot deserts in Kashan, Isfahan or Yazd. Alongside all these beauties in every city of Iran you will face different culture and traditions and will be welcomed with their generous hospitality. I really enjoyed this trip by Greetingiran and we have been thinking of traveling again to this wonderful country soon by this travel agency. Thanks to Iranian numerous highly equipped hospitals with specialist personnel and skilled physicians, Iran has the ….